Autism is a growing problem in the United States, which affects more males than females. Autism is a complicated condition and medical science has not figured out the cause. There are no single causes but a variety of factors that impact Autism. Factors that contribute to the Autism Spectrum. Heavy Metals are metals that should not be in the body and are toxic if present the body. 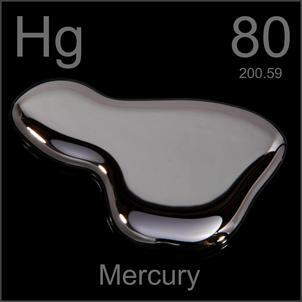 These heavy metals can cross the blood brain barrier; specifically mercury, arsenic, cadmium and aluminum. All of these metals affect the central nervous system causing autistic symptoms. There are simple tests that can be performed to determine if you have heavy metal toxicity. Many times, Mom and Dad have heavy metals in their bodies and are unaware of them. When they come together and make a baby, some of these heavy metals cross over into the placenta and are now in the baby. When the baby is born, even the smallest contact with heavy metals can overload the the toxic threshold of the child and cause damage to the nervous system. This toxic overload can cause autism and autistic-like symptoms. Heavy metals are everywhere in our society. As you can see they are prevalent in today's society. Your body normally can deal with these heavy metals as a adult and remove them from the body, but babies and children are much smaller than adults. Most children are vaccinated with a lot of vaccines all at the same time not in single doses. Their little bodies can't handle the stress of this and sometimes even die post-vaccination.